The premium range of bespoke Composite Aluminium Timber Doors are stunningly designed. With an elegant flush casement, they’re guaranteed to bring a sophisticated style to any home. Aluminium Clad Windows supplies Composite Aluminium Timber open-out doors across Norfolk and Suffolk. 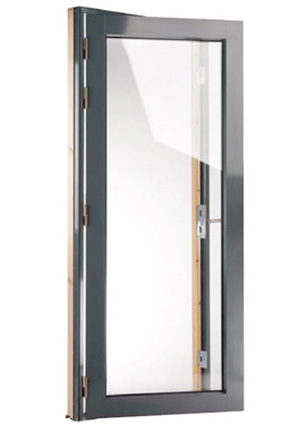 The Composite Aluminium Timber Westcoast System offers a choice of single and double leaf doors to suite with the open out range of windows and fixed lights. 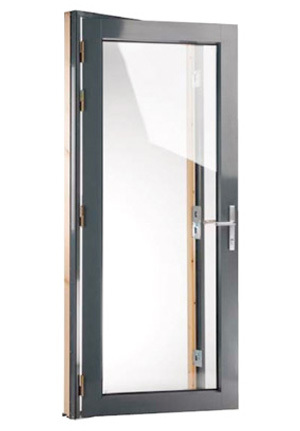 Doors are generally multipoint espagnolette secured and are supplied with a variety of locking devices suitable for controlled access, such as to private terraces and balconies. The system components permit the construction of door screen assemblies or they can be incorporated as part of a multi-storey window wall arrangement.